Although I was sharing many thank-yous yesterday, I wanted to save this one for its own post. 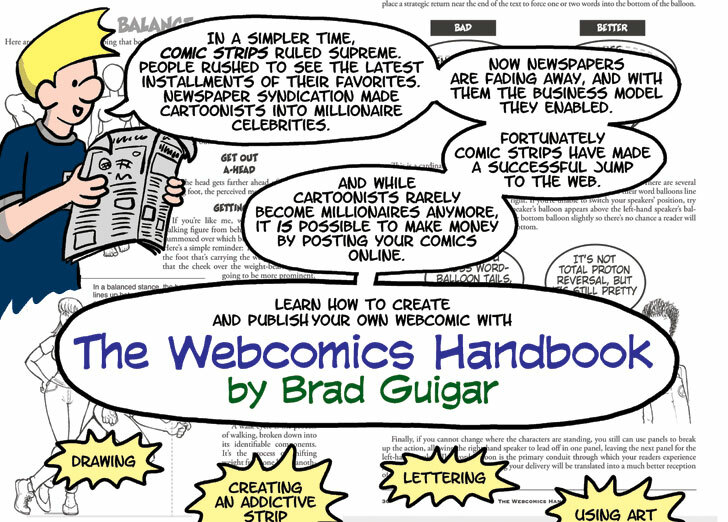 Last week, the popular comic Unshelved, by Bill Barnes and Gene Ambaum, reviewed my new webcomics tutorial, The Webcomics Handbook on their site. You can read the entire thing at their site. Needless to say, getting such warm praise by people whose work I respect a great deal is the best kind of honor I could hope for. Thanks, guys!